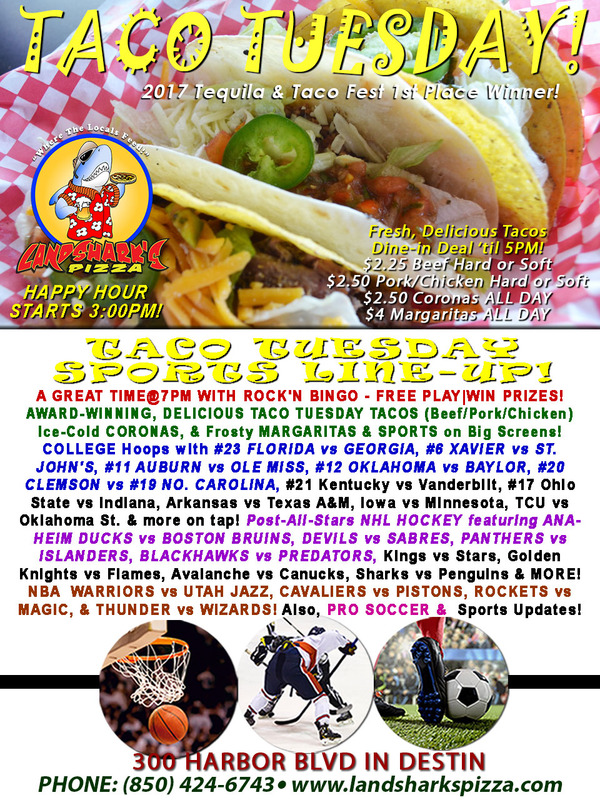 Landshark’s TACO TUESDAY AUBURN vs OLE MISS! 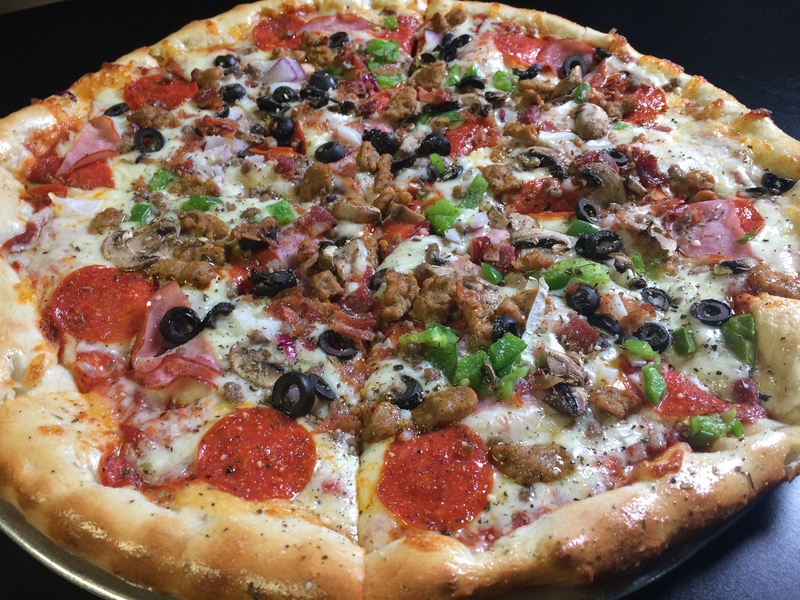 TACOS, MARGARITAS & CORONA SpecialS & ROCK’N BINGO at 7PM! 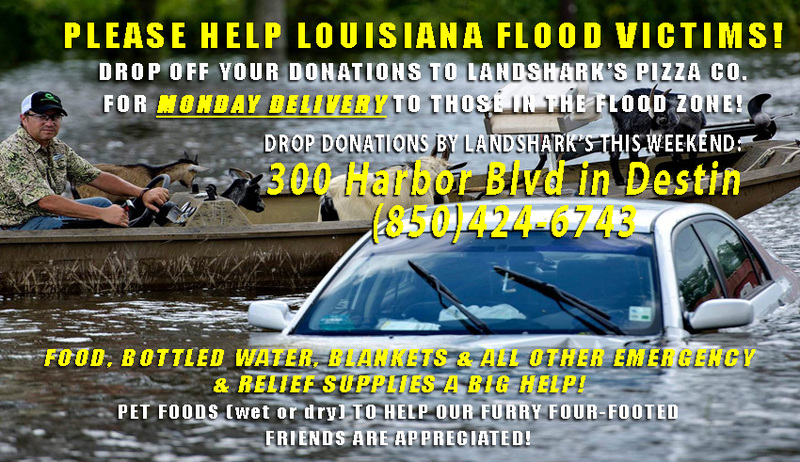 BIG HEARTS IN DESTIN – Drop Off Donations at Landshark’s to HELP LOUISIANA FLOOD VICTIMS! 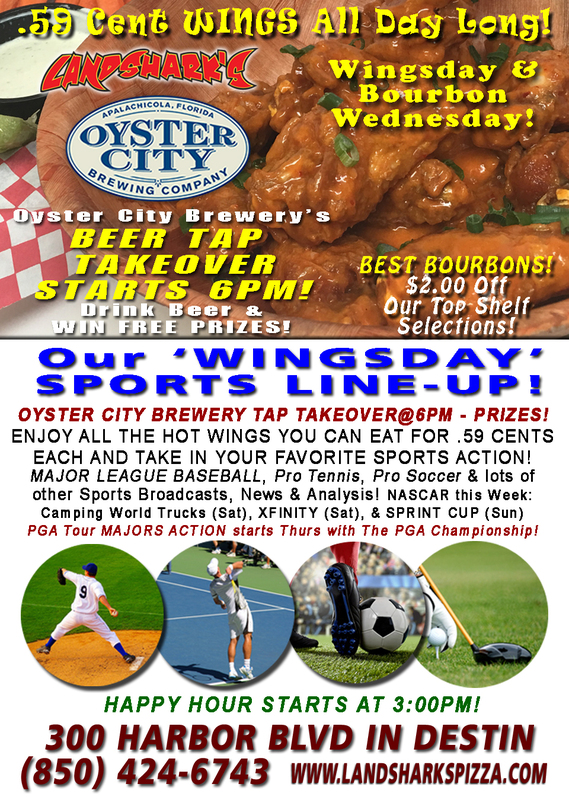 OYSTER CITY BREWERY TAKES OVER OUR TAPS@6PM! 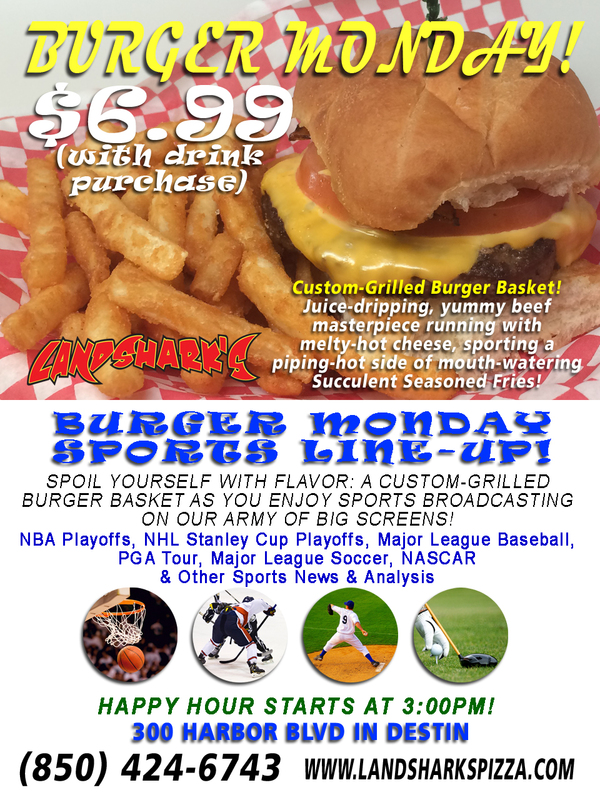 59-Cent Wings ALL DAY! 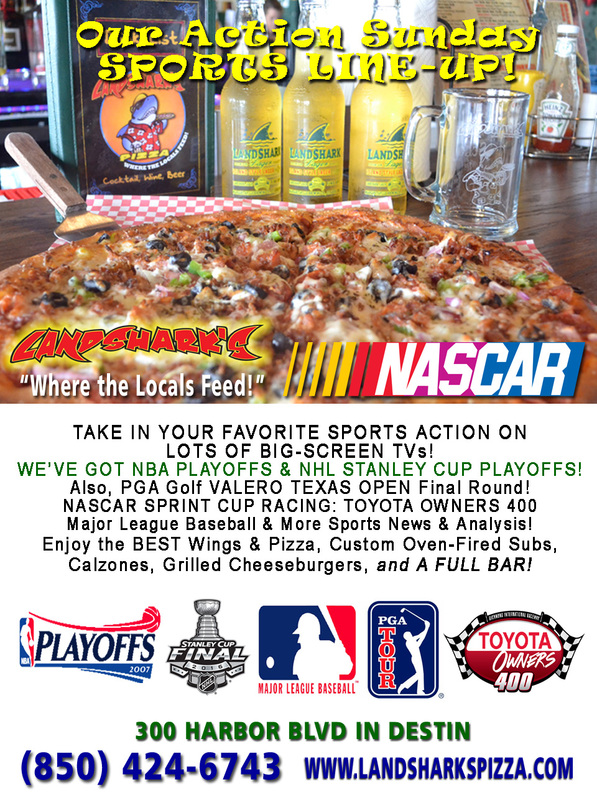 $2 Off Bourbon! 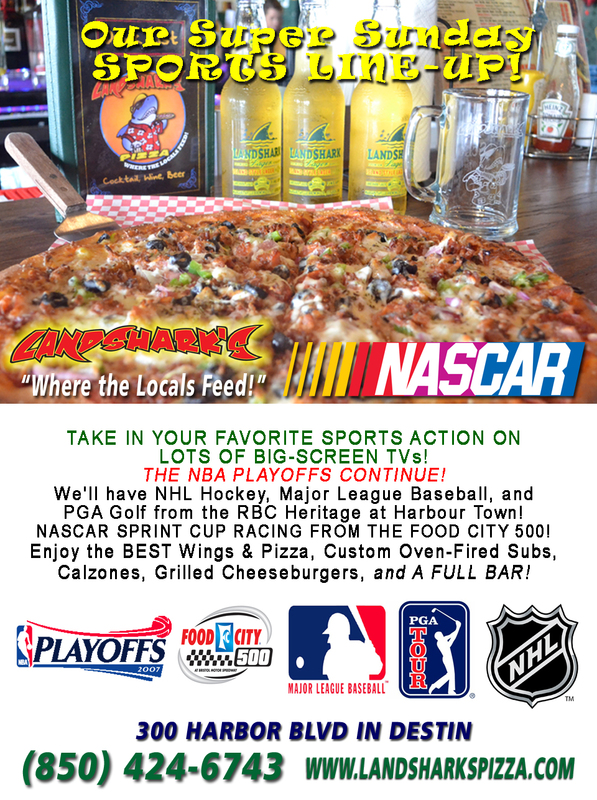 Sports Big Screen TVs destin Pizza, Wings, Subs, & More – ACTION SUNDAY! 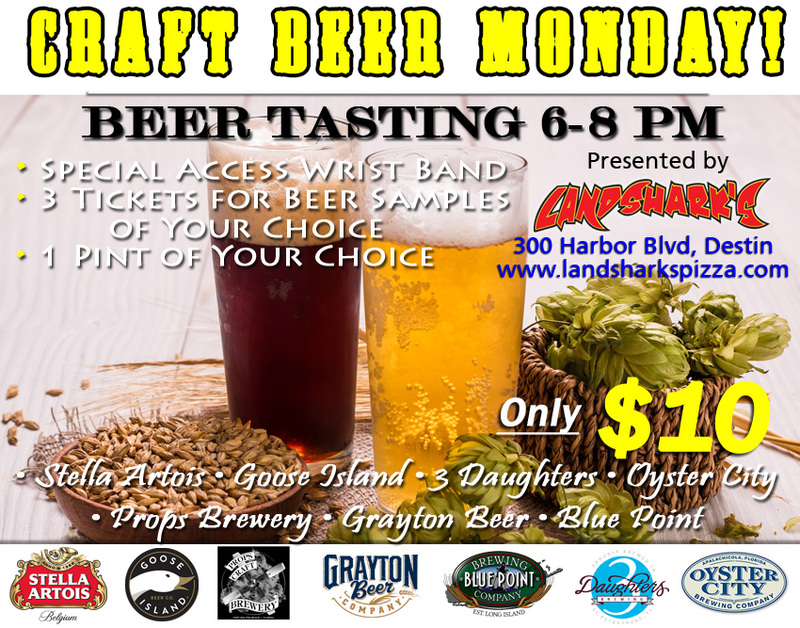 Destin FL Beer Tasting – Monday Craft Beer Tasting at Landshark’s Today! 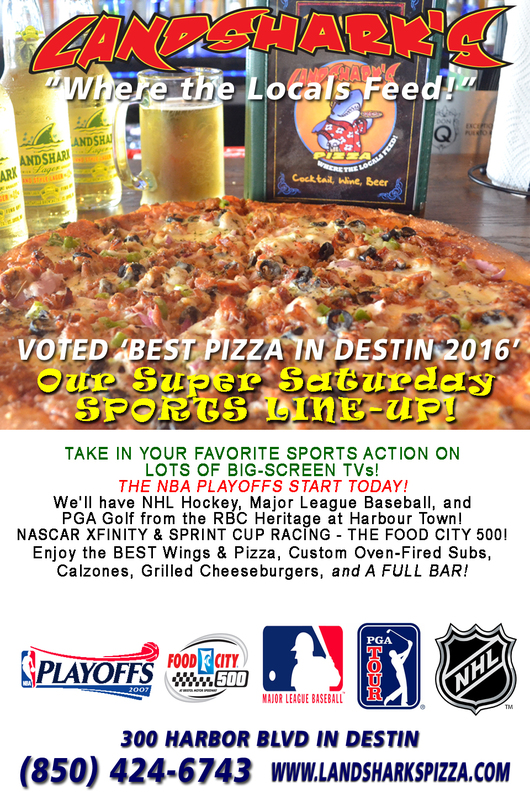 SPORTS Action in Destin – SUNDAY LINE-UP at Landshark’s Pizza Company! 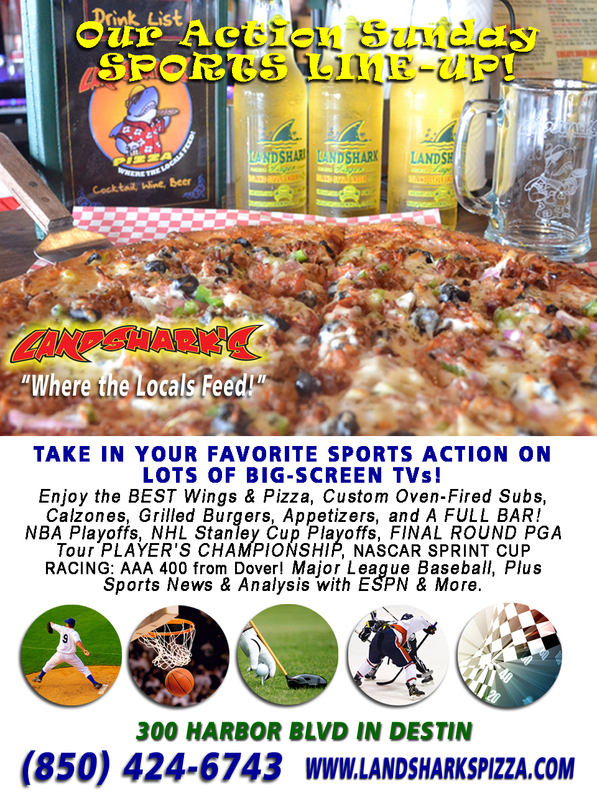 Crab Island Sangria $1 OFF and Sports in Destin at Landshark’s Pizza! ACTION SUNDAY! 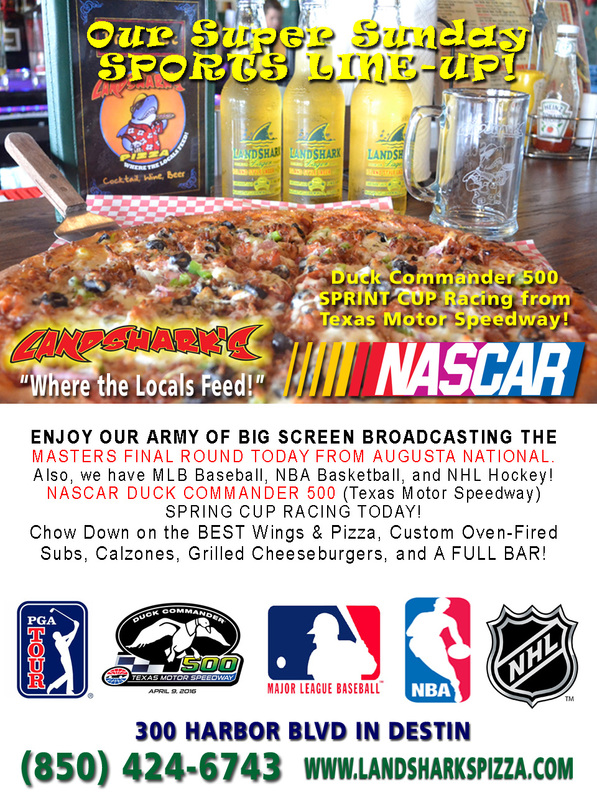 DESTIN FL SPORTS, FOOD, & DRINKS at Landshark’s Pizza Company! 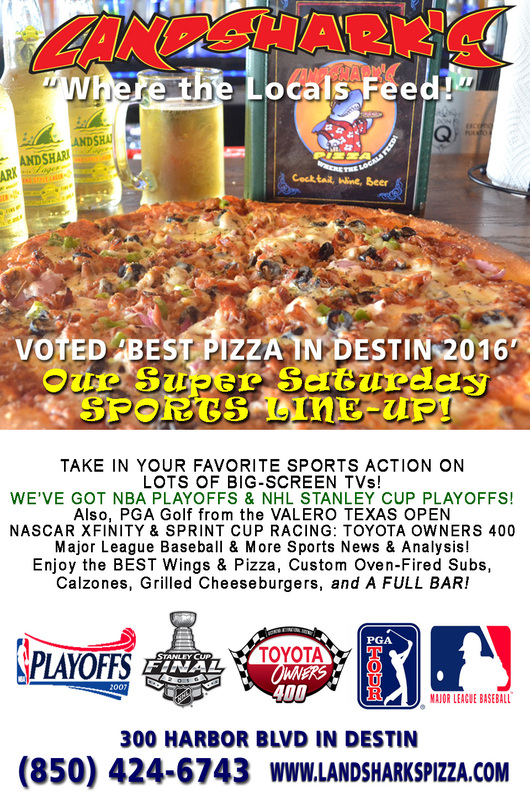 Sports in Destin FL – Landshark’s Super Saturday BIG SCREEN Line-up! 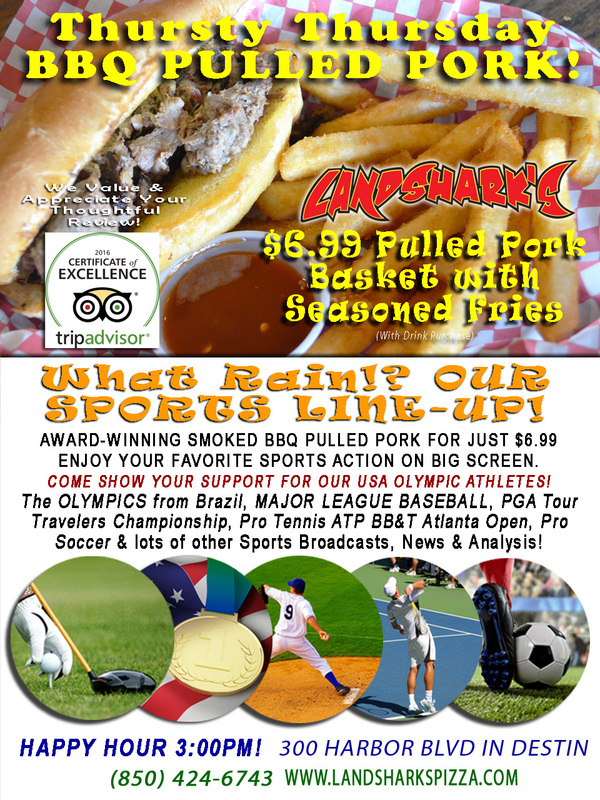 SPORTS & FOOD IN DESTIN FL – ACTION SUNDAY SPORTS LINE-UP AT LANDSHARK’S!